The post Maze – 1979 – Inspiration appeared first on Funk My Soul. 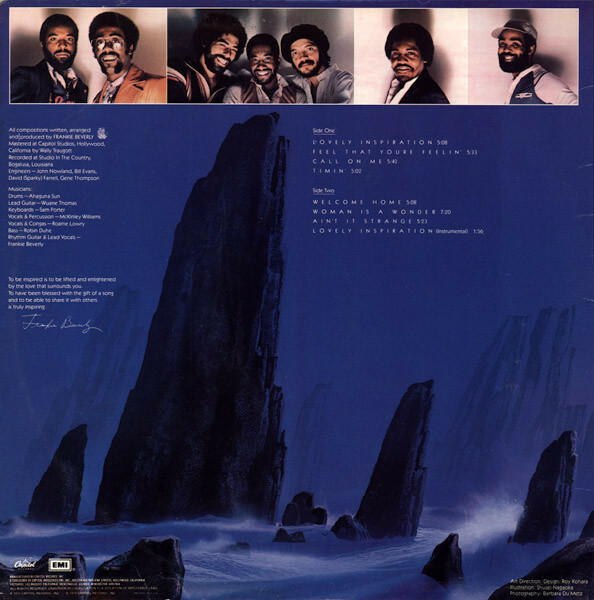 Sublime work from Frankie Beverly and Maze – smooth, mellow, and perfectly put together, with a level of care and class that you’d be hard pressed to find in many of the group’s contemporaries! The album’s not one of the group’s most famous, but that makes it even more of a treat, as you’ll find some nice lesser-known cuts on here that really sparkle. Features the cut “Lovely Inspiration”, in vocal and instrumental versions, plus “Woman Is A Wonder”, “Ain’t It Strange”, and “Call On Me”. Arguably Maze’s best album, hands down, Inspiration lives up to its grandiose title. Frankie Beverly’s compositions are executed to perfection by the seven-piece Maze ensemble: Atigunta Sun (drums), Wuane Thomas (lead guitar), Sam Porter (keyboards), McKinley Williams (vocals and percussion), Roame Lowry (vocals and congas), Robin Duhe (bass), and Frankie Beverly (rhythm guitar and lead vocals) — the originals. If you’re still down after listening to “Lovely Inspiration“‘s positive, glowing, shimmering praise to the Supreme One, you have some serious issues. 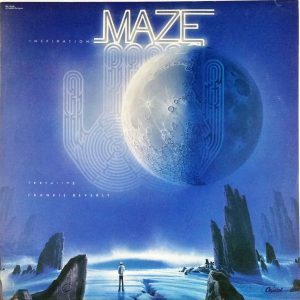 The fusion of R&B and reggae on “Feel That You’re Feelin‘” fueled its way up the R&B chart rungs; it remains a staple of Maze’s live show. It’s hard to get any better than “Call Me“, on which Beverly outdoes himself during a sensitive, tear-jerking confession of a man whose woman left him for another; the parting is handled with maturity, and the lamenting lover extends an invitation for his ex to call him if it doesn’t work out, or if she has a change of heart. Just as inspiring is the spirited “Timin’“, a rollicking number about keeping your spirits up because, if it doesn’t work out, it’s not solely your fault, it’s just a matter of timin’; why Capitol held back on this track is mystifying, since it has all the elements of a monster. That kick-happy beat is extended to “Welcome Home,” a tune about a lover returning after discovering the grass wasn’t greener on the other side of the fence. “Women Is a Wonder” is a slow tribute to women featuring some tantalizing guitar notes from Thomas; very nice, but a better bet if the supplementary vocals hadn’t been buried so deep in the mix. 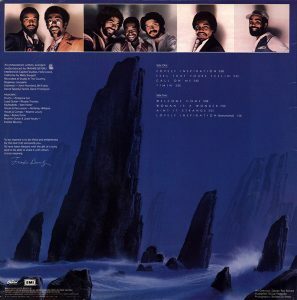 Captivating, tinkling chimes introduce the laid-back “Ain’t It Strange“; the vocal interaction between Beverly, Duhe, Williams, and Lowry are reminiscent of the Frankie Beverly & the Butlersyears. An instrumental version of “Lovely Inspiration” ends the masterpiece.